The love affair with the biker jacket shows no signs of abating, this one offers a contemporary twist on a style classic. 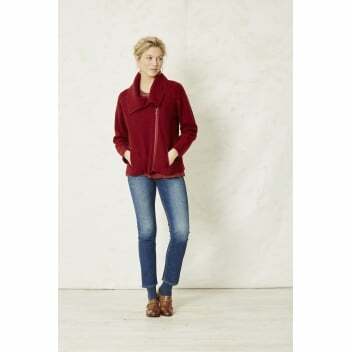 Lovingly crafted in wool, this jacket features ribbed detailing on the underarm and side seams. The colour is perfect for autumn, and the fabric warm and cosy. This is perfect for layering over your favourite jumper as the temperature plummets.